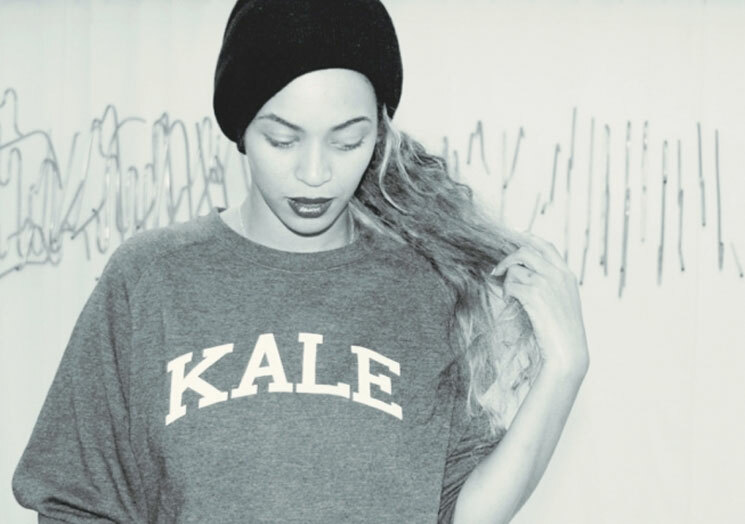 First, Lil B gets a vegan emoji app, and now Beyoncé is getting in on the health food fun. The pop star has now launched her very own vegan food delivery service through 22 Days Nutrition. As far as we can tell, this diet plan has nothing to go with ethics or animal rights. In fact, a press release specifically points out that "it's really not about asking everyone to become a vegan but rather to make simple healthier food choices." Beyoncé teamed up on this service with her trainer, exercise physiologist Marco Borges, who designs meals that are low in fat, sugar and salt and emphasize whole foods. They are organic and non-GMO, not to mention free of gluten, soy and dairy. "I am so grateful that I took the challenge and credit Marco with leading by example," Beyoncé said in a statement. "He is the most energetic person I know and it's all because of his decision to live a healthy lifestyle. He came up with a great program to get people motivated to make better nutritional choices. All you have to do is try. If I can do it, anyone can. I am excited to partner with him." Beyoncé and husband Jay Z previously made headlines when they announced that they would be going vegan for 22 days in late 2013. This new initiative now encourages everyone else to follow suit. There are various plans that differ in terms of price and quantity. Those who are curious about getting involved can peruse the options right here. For everyone else, Dairy Queen's Blizzard of the Month for February is red velvet cake.